Does anyone else find that their makeup slides off their face half way through the day? Or sometimes that the weather turns your face into a shiny mess? It's an every day struggle to keep my makeup intact, even for it to last until 12pm let alone make it until I get home in the evening. One of my friends recommended try a setting spray to help keep my makeup in place and to help it not budge an inch. 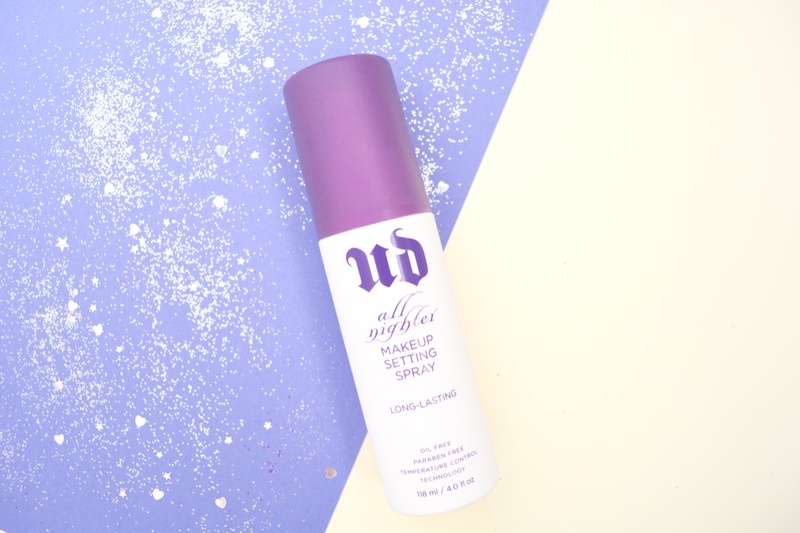 After a heavy Google search, Urban Decay's All Nighter Long-Lasting Makeup Setting Spray was emerging as a popular favourite amongst bloggers and seemed to be loved by many. I'm ashamed to say I don't actually own a lot of Urban Decay products, I only have the Naked On The Run palette and haven't tried anything else from the brand. It's not for a lack of wanting to, I just haven't gotten round to buying anything else other than the palette I currently have. I really want to try some some of the Vice Lipsticks and the De Slick Oil Control Makeup Setting Spray, especially the setting spray as I want to see how it compares to the one I currently own. 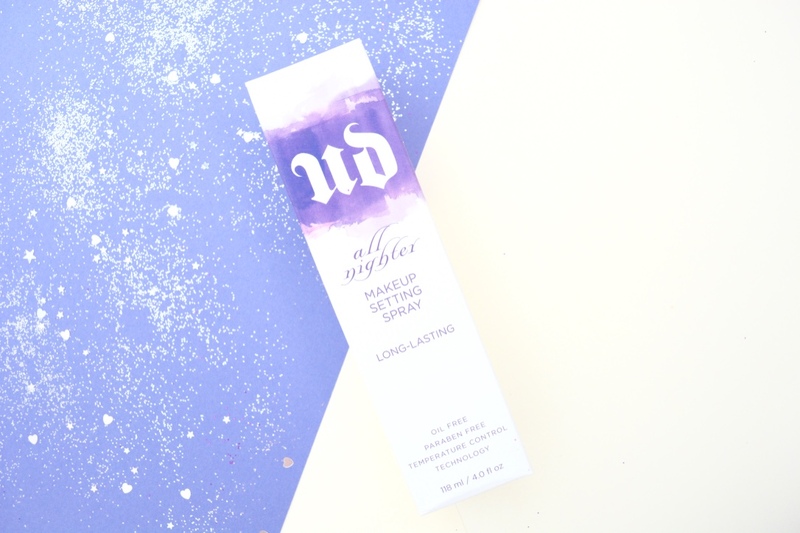 After purchasing the Urban Decay All Nighter Setting Spray I was excited to see if it actually worked and that such a magical makeup product existed that would keep my face as cool as a cucumber. I'm not going to lie I was a little bit sceptical about the whole setting spray business, as some people rave about them and others don't get the hype but I have to say I have been fairly impressed with the All Nighter Spray. It truly is really good at keeping my makeup in place! When I have wanted my makeup to last that bit longer, I have used the Spray as a primer first and then re-used it once my makeup is done. The spray has a lightweight texture but very powerful and also smells really nice. It is oil and paraben free, whilst also containing temperature controlling technology. I would definitely recommend this one if you are in London and constantly getting on/off tubes, it is literally a lifesaver. It also comes in a miniature version, which is perfect for a night out and can easily fit in your clutch bag. The Urban Decay Setting Spray sure has the prettiest package of all the sprays I have seen and the bottle is of a decent size. At £22, it is the most expensive spray I have bought but it has done a much better job than all of the others and has lasted a lot longer. You only need to apply a small amount and it works a charm, unlike some sprays where I have to coat my face in it.